Anyone who has been following the blog as of late has noticed that we have been putting a focus on “no-deposit” casino features. There is a very good reason for this: we know that “no-deposit” offers are taking over, and we want to be among the first of the American casinos to offer these exciting incentives to our players. Not only the bonus codes themselves, but also the ins and outs on how to best use them to your advantage. What is an Online Casino Co-deposit Bonus? With a little bit of reading you will be able to much better equip yourself with the tools to ease into the casino experience without necessarily making a deposit. Once you decide that you have absolutely fallen in love with us, then you can go ahead and make a real money casino deposit. Silver Oak believes in giving you every advantage possible to make sure that we are the casino for you. An online casino experience isn’t like the old days where the industry was in its infancy. Online gambling has evolved to the point where the name of the game is trust and customer satisfaction. 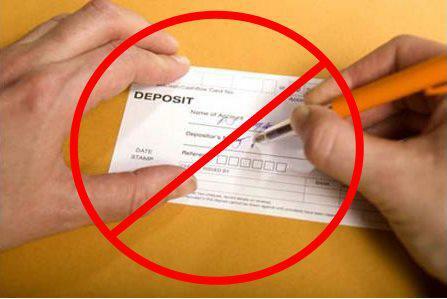 No-deposit Bonus – Obtain bonus cash without having to make a deposit. Crewpon Promotion – “ReCREWT” your friends. The more you find, the more you all win. New Member Offer – New member to Silver Oak? We have a boatload of bonuses for you. Crazy Days Promo – Every day Silver Oak offers lucrative bonuses for all its players. $10,000 Draw Promo – One of our players is $10,000 richer every time we draw. Cash Back Bonuses – Win money even when you are losing. You can’t beat that. 777 Casino Deposit – $777 is the magic number with this noteworthy deposit bonus. Happy Hour Bonus – Every hour isn’t the same. Get extra free cash for the right deposit times. Bankroll Protection – Afraid of losing it all? Get those loses refunded with Bankroll Protection. Weekly Bonus – Finish off the week strong with our awesome weekly bonuses for more cash. Blackjack Bonuses – Blackjack bonuses to keep you winning bigger and more often. If you find yourself still scratching your head, unsure of how exactly this all works, this video should shed some light on the situation. In it you can get a glimpse of the Silver Oak player account screen.